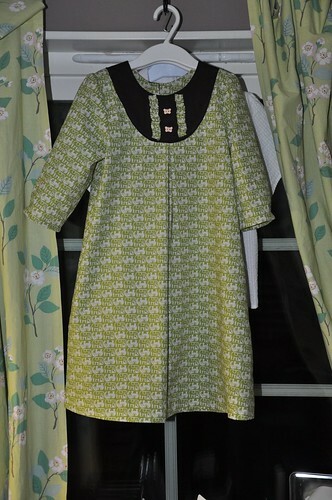 There - one dress, ready to wear. It needs to be washed. There are still some trace lines on the inside of the sleeves. Sofia asked to wear it tomorrow though and I agreed. I'll definitely make one more - I had a thought on how to bind the neckline and add the piping in one go that I want to try. I also loved the construction of the yoke. Almost like a puzzle - and no hand stitching!